Pasquale Esposito returns to the majestic Guglielmo Winery for the 8th year with a Dinner Concert. Enjoy an authentic Italian Dinner followed by a live concert. 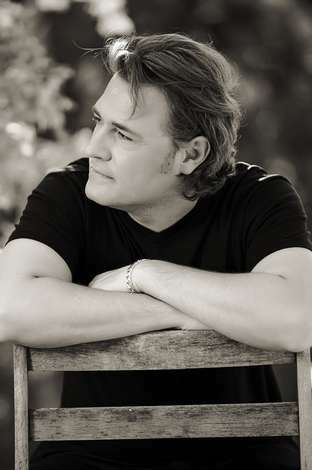 Noted for the raw power and beauty of his voice, Naples-born tenor Pasquale Esposito is famed for his pop-opera style and stirring tributes to legendary opera singer Enrico Caruso and the Italian Piazzas on PBS and as part of a blockbuster live national tour. Now he's back for the eigth year in a row for the "La Notte Canta (The Night Sings)" benefit concert at the stunning Guglielmo Winery in Morgan Hill. This intimate outdoor dinner concert is set to feature an entertaining mix of original compositions, Broadway favorites, Italian, American and Spanish songbook standards, and of course, some opera highlights, all backed by an international band of musicians. The dinner portion will commence at 5:30pm and the concert will commence at 7:30pm. For more information about Pasquale Esposito: visit www.pasqualeesposito.com.